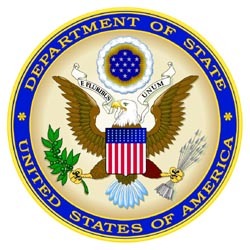 The U.S. Commission on International Religious Freedom (USCIRF) dedicates a whole chapter of their annual report published on April 30, 2013 to criticizing several Western European countries, including France, accused of developing “ a climate of intimidation against certain forms of religious activities”. USCIRF is an independent federal advisory body created by the 1998 International Religious Freedom Act (IRFA) to monitor religious freedom abuses abroad, today released its 2013 Annual Report. Its members are chosen by the US President and by the Congress, including Democrats and republicans. The Report highlights the status of religious freedom globally and identifies those governments that are the most egregious violators. “In certain countries,” said Dr. Katrina Lantos Swett, USCIRF’s Chair, ‘a very agressive laicity puts religious pepole in uncomfortable and difficult positions regarding the full practice of their religious faith and beliefs.” Beyond laws restricting freedom of expression (hate speech …), the report mentions growing limitations regarding religious signs, ritual slaughter of animals (Luxemburg, Sweden, Netherlands) and the building of minarets in Switzerland. “Such restrictions are severely limiting social integration and prospects in terms of education and employment for the concerned individuals”, the commission writes in their report. “measures against religious groups pejoratively characterized as “cults””. Monitoring such groups as Jehovah’s Witnesses, Scientologists or several Evangelical Christian churches by Miviludes (Inter-ministerial Mission for Vigilance and to Combat Sectarian Aberrations) “stigmatizes some new or non-traditional groups as being allegedly dangerous”, said Elizabeth Cassidy, Deputy Chairman of the commission. “The European laws, by targeting “a specific minority religious group, send a signal justifying, for some, discrimination against the members of this group”, she added. The American commission was not the first – and is certainly not the last – to criticize this aggressive laicity promoted by some people in France. Almost every international Human Rights bodies did so, including the Council of Europe, OSCE, UN HR Committee and very recently, the European court of HR severely sentenced france for its attitude towards new religious movements (decision Jehovah’s Witnesses vs. France on July 5, 2012; decision France vs. Temple Pyramide on January 31, 2013). The law of 1905 separating Churches and State was a moderate law. In essence, this law means a greater religious freedom for all. Stigmatization, using government forces to monitor, fight against, slander new religious groups is obviously at the opposite of the spirit of the 1905 Law. Since the 1990s, the governments of several European countries—particularly France, but also Austria, Belgium, and Germany—have taken measures against religious groups pejoratively characterized as “cults” or “sects.” These efforts have included the publication of official reports or lists identifying certain groups as harmful or dangerous “cults” or “sects;” the use or creation of government agencies to monitor these groups; the application of registration, immigration, tax or other generally-applicable laws in ways that restrict these groups’ rights;13 and in the case of France, the passage of a specific law “to reinforce the prevention and repression of sects which infringe human rights and fundamental freedoms. The most extensive “anti-cult” efforts have been in France. Since 1998, the French government has had a governmental entity specifically tasked with collecting and disseminating official information on groups deemed to be “cults” and coordinating government efforts to oppose such groups. The organization in its current form is called the “Inter-ministerial Mission for Vigilance and to Combat Sectarian Aberrations,” or MIVILUDES (its acronym in French). Various French government reports on and lists of “cult” groups have included Jehovah’s Witnesses, Scientologists, the French Federation of Krishna Consciousness, a Baptist Bible college, several Evangelical Christian churches, and many more small, non-traditional, and/or new religious communities. Groups that are on these lists or that have been addressed in MIVILUDES’ or its predecessor’s work say that this system creates a climate of intolerance and has led to both official and private discrimination against them.